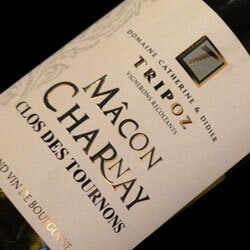 We just brought in this new Chardonnay from one of the smaller appellations of the Mâconais in Burgundy: Mâcon-Charnay. Since 1989 Catherine and Didier Tripoz have dedicated their passion to the vines they farm as their philosophy is: “Do everything possible to obtain grapes from the higher quality as it is the indispensible component for exceptional wines”. They have only 9 ha and Didier hand-picks each parcel before vinifying them separately. It is winter time but that does not mean that you would not appreciate some fish or cheese to go with a Chardonnay that has some buttery and honey falvors! With all the Bordeaux we just received I had to pick one! I decided to go with the second label of Château Pontet Canet: Les Hauts de Pontet Canet. Second labels are often great values and a good way to get introduced to an estate. Chateau Pontet Canet is located in the heart of the Pauillac appellation and is just south of the famous Château Mouton Rothschild. Pauillac is definitely one of my favorite appellations as it is the most Cabernet Sauvignon dominated area in the Médoc. Pauillacs have a certain vigor and aromatic quality that derives from the intense concentration of their flavors. You can enjoy it with a nice steak or any of your hearty, wintery dishes but definitely not with finger food!